The terror attacks in the U.S. on September 11th, and the subsequent efforts by the United States to build a broad-based anti-terrorism coalition, have thrown into sharp relief the question of what constitutes terrorism. Most researchers tend to believe that an objective and internationally accepted definition of terrorism can never be agreed upon; after all, they say, “one man’s terrorist is another man’s freedom fighter.” The question of who is a terrorist, according to this school of thought, depends entirely on the subjective outlook of the definer; and in any case, such a definition is unnecessary for the international fight against terrorism. In their view, it is sufficient to say that what looks like a terrorist, sounds like a terrorist, and behaves like a terrorist is a terrorist. This position, naturally, contributes nothing to the understanding of an already difficult issue. 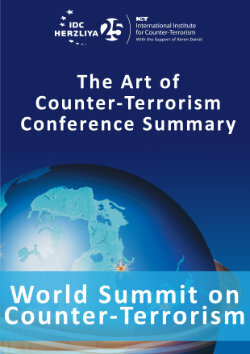 Nor does the attempt to divide terrorism into categories such as “bad and worse terrorism,” “internal terrorism and international terrorism,” or “tolerable terrorism and intolerable terrorism.” All these categories reflect the subjective outlook of whoever is doing the categorizing – and purely subjective categories will not help us to determine who are the real terrorists. At the same time, there are others who say that a definition of terrorism is necessary, but that such a definition must serve their own political ends. States that sponsor terrorism are trying to persuade the international community to define terrorism in such a way that the particular terror groups they sponsor would be outside the definition – and thus to absolve them from all responsibility for supporting terrorism. Countries such as Syria, Libya, and Iran have lobbied for such a definition, according to which “freedom fighters” would be given carte blanche permission to carry out any kind of attacks they wanted, because a just goal can be pursued by all available means. Both these schools of thought are wrong; and both attitudes will make it impossible to fight terrorism effectively. An objective definition of terrorism is not only possible; it is also indispensable to any serious attempt to combat terrorism. Lacking such a definition, no coordinated fight against international terrorism can ever really get anywhere. A correct and objective definition of terrorism can be based upon accepted international laws and principles regarding what behaviors are permitted in conventional wars between nations. These laws are set out in the Geneva and Hague Conventions, which in turn are based upon the basic principle that the deliberate harming of soldiers during wartime is a necessary evil, and thus permissible, whereas the deliberate targeting of civilians is absolutely forbidden. These Conventions thus differentiate between soldiers who attack a military adversary, and war criminals who deliberately attack civilians. What is important in these definitions is the differentiation between the goals and the means used to achieve these goals. The aims of terrorism and guerilla warfare may well be identical; but they are distinguished from each other by the means used – or more precisely, by the targets of their operations. The guerilla fighter’s targets are military ones, while the terrorist deliberately targets civilians. By this definition, a terrorist organization can no longer claim to be “freedom fighters” because they are fighting for national liberation or some other worthy goal. Even if its declared ultimate goals are legitimate, an organization that deliberately targets civilians is a terrorist organization. There is no merit or exoneration in fighting for the freedom of one population if in doing so you destroy the rights of another population. If all the world’s civilian populations are not to become pawns in one struggle or another, terrorism – the deliberate targeting of civilians – must be absolutely forbidden, regardless of the legitimacy or justice of its goals. The ends do not justify the means. By carrying out terrorist attacks, the perpetrators make themselves the enemies of all mankind. Only on the basis of an international agreement on the definition of terrorism will it be possible to demand that all nations withhold all support from terrorist organizations. Only on this basis can countries be required to act against terrorists, even when they agree with and support the terrorists’ goals. The worldwide acceptance of the above definition of terrorism – and the adoption of international legislation against terrorism and support for terrorism based upon this definition – could bring about a change in the cost-benefit calculations of terrorist organizations and their sponsors. At present, terrorist organizations may carry out either terrorist or guerilla attacks according to their preferences and local conditions only, with no external reason to choose one type of attack over the other. After all, as far as the rest of the world is concerned, the two types of attack are morally equivalent; punishment is identical in both cases. However, should these organizations and their sponsors be made aware that the use of terror will bring them more harm than good, they may opt to focus on guerilla warfare rather than on terrorism. Does this definition of terrorism legitimize guerilla warfare? The answer is that, yes, the definition does make a moral distinction between terrorism and guerilla warfare. Countries forced to deal with ongoing attacks on their military personnel will obviously perceive these attacks as acts of war, which must be thwarted. These countries cannot expect to enlist the world in a struggle against “legitimate” guerilla warfare, but they could justifiably demand that the international community assist them were they fighting against terrorism. Yet another question to be answered is, can countries as well as organizations be held responsible for carrying out terrorist acts? In effect, this question has already been answered in the form of existing international legislation. The term “terrorism” is superfluous when describing the actions of sovereign states – not because states are on a higher moral level, but because, according to the international conventions, any deliberate attack upon civilians in wartime by regular military forces is already defined as a war crime. Should such an attack be carried out during peacetime, the act is defined by convention as a “crime against humanity.” In both cases, such acts are already covered by international law, and provisions exist for dealing with the perpetrators. It is when these actions are carried out by politically-motivated individuals or groups that the lack of legislation is felt. Ironically, under current international law, organizations are not specifically prohibited from perpetrating actions that are considered illegal and abhorrent when carried out by sovereign states. There have been previous attempts to address these issues; the U.S. State Department, for example, has put forward a definition according to which terrorism is the deliberate use of violence against non-combatants, whether civilian or not. However, this definition of terrorism will not work in practice, as it designates attacks on non-combatant military personnel as terrorism. Despite the natural tendency of those who have been harmed by terrorism to adopt this broad definition, terror organizations and their supporters can justly claim that they cannot be expected to attack only military personnel who are armed and ready for battle. If they were held to such a standard, they would lose the element of surprise and be quickly defeated. By narrowing the definition of terrorism to include only deliberate attacks on civilians, we leave room for a “fair fight” between guerillas and state armies. Thus we set a clear moral standard that can be accepted not only by Western countries, but also by the Third World and even by some of the terrorist organizations themselves. When such a moral distinction is internationally applied, terrorist organizations will have yet another reason to renounce terrorism in favor of guerilla actions. 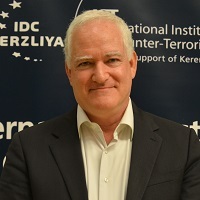 The definition of terrorism proposed here can serve as a guide for including or excluding various countries in the international anti-terror coalition, as well as for identifying those organizations and countries to be targeted by the coalition. But its main significance is in the drafting and enforcement of international legislation aimed at forcing states to act against terror organizations operating on their territory.